You may have heard about Seton Hall University’s recent well-received exhibit, “A Celluloid Story: New Jersey’s Filmmaking History.” Perhaps you were even fortunate enough to catch the exhibit itself. The photo and video compilation was a neat acknowledgement of our very own neighborhood’s role in the invention of the moving picture. It all began in 1888 at Thomas Edison’s West Orange laboratory with a man named William Kennedy Laurie Dickson and his efforts to build on Hannibal Goodwin‘s patenting ofnitrocellulose film. The investigations that followed — conducted over several years with a little help from Mr. Edison (Dickson’s boss) — led to the development of the first movie camera and movie viewer, called a kinetograph and kinetoscope, respectively. By 1892 Dickson and Edison were filming movies with an enormous device that moved 35mm film over a series of spools and were recording 20-second films at the world’s first recording studio, the Black Maria, in West Orange. New Jersey eventually became a favored location for directors of films in a variety of genres, from The Great Train Robbery and On the Waterfront to Friday the 13th and The Hunger Games: Catching Fire. 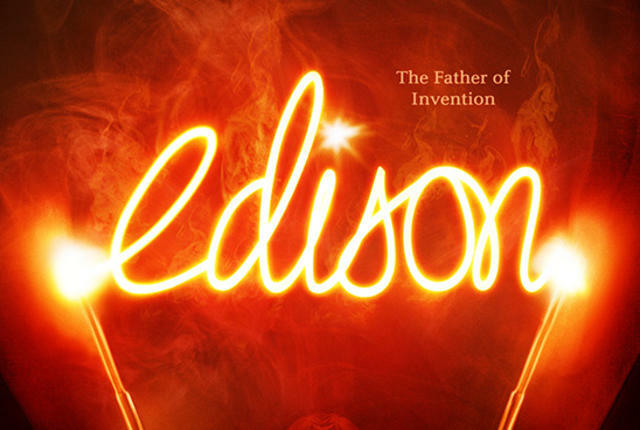 For more on Edison — his life and many inventions — check out the new American Experience film Edison, which premiered this winter. Or see it all for yourself with a day spent at the Thomas Edison National Historic Park and Laboratory.